As we’ve journeyed through Lent, we have heard the stories of ministers, prophets, rebels, saints, and celebrities. But today, as we continue our series of stories of faithful people, we’re going to talk about a woman who is well-known and well-loved in certain parts of the world, but otherwise virtually unheard of. Her name is Ida Sophia Scudder, and she was a doctor and medical missionary in southern India – but beyond that, she was a visionary, a leader, and a teacher. But before I get going too far, we’re going to hear from one of Ida’s favorite pieces of Scripture – the theme that shaped her life and her work. Ida Sophia Scudder was born in Ranipet, Tamil Nadu, India on December 9th, 1870. Her parents, John and Sophia, were Americans, working as medical missionaries on behalf of the Reformed Church in America. They were second-generation missionaries, as John’s father (also named John) was also a doctor and missionary in India. Ida grew up in Tamil Nadu, where she saw everything from beautiful celebrations of life and living to famine, disease, and poverty. As a teenager, she was invited to attend a private Christian boarding school in Massachusetts called Northfield, where she earned a reputation for pranks. After graduation, she planned to get married and settle down in the US – she was determined she would not become a third-generation missionary in India. God had other plans. In 1890, her mother became ill – and so she traveled to India for a few months to help her father run his clinic and take care of her mother. Ida did return to the US, but only to join the first class at Cornell University Medical School to admit women. She dove head first into medical training, and returned to India as a qualified doctor in the year 1900. Just before she returned, however, she was asked to begin fundraising for a women’s hospital in south India. She said it would take $50,000 – the equivalent of $500,000 today – to do what she wanted to do. The group of men in charge scoffed, said that was impossible to fundraise in such a short amount of time, and encouraged her to set the goal at $8,000 instead. They doubted she would even be able to raise half that amount, but she was welcome to try. Ida rolled her eyes, and believed that if the money was needed, God would provide it. As she made the rounds to churches and philanthropists, money came in at a trickle. She went to see one wealthy woman in New York and poured her heart out, telling her about the need in India for quality medical care for women and her own call to this work. The woman was interested, and said she would invite Dr. Ida to a women’s group, where she could make her case and perhaps get some funds there. Little did she know, the woman’s brother in law was listening from the next room – Mr. Schell was the president of a New York bank. When Dr. Ida received an invitation to meet with him, she knew his reputation as someone who was very careful with his finances and thought he would maybe contribute $500 – but $500 was $500, so she went. But when she arrived, she was surprised to find that he’d already heard the elevator speech, and he grilled her instead on the finer points of her plans. She passed his tests, and on the spot he wrote a check for $10,000 – more than she’d asked for at all – and asked her to name the hospital in honor of his late wife, Mary. She agreed, and then went back to the mission board to scold them – if you had let me do what I felt was necessary, this could have been $50,000! She vowed to never again let someone else tell her the limits of what God could do. But as much good as she was already doing, she knew the need was far greater than what she alone could hope to deal with. From the beginning, Dr. Ida knew that she needed to be training Indian women to help other women. She started formally training nurses in 1909, and opened the Missionary Medical School for women in 1918, which was the first medical school in India to train women as doctors, and accepted students of all backgrounds and faiths. Despite the assumptions of several men that she would be lucky to get a handful of applicants that first year, she instead received 151 applications. The first few years of teaching were a bit rough – she had to return to her own introductory textbooks in order to keep ahead of her students. Still, the college continued to grow. In 1928, the now teaching hospital broke ground for a new facility in the city of Vellore, and became the Christian Medical College. In 1931, her niece, also named Ida and also a doctor by this time, joined her and would eventually become the head of radiology. By 2003, CMC was the largest Christian hospital in the world. To this day, her words live on at CMC. “Ida Scudder is famous as the founder of the Christian Medical College and its associated hospitals, but her legacy is far greater than the institution and its buildings. She brought new hope and dignity to women in South India, giving them the benefits of modern medicine previously denied them by cultural barriers. She opened up the health care professions to women from all faiths and backgrounds, encouraging families to allow their daughters to train as nurses and doctors and showing by her own example and her students’ achievements that women could equal men both in medical studies and clinical proficiency, and excel in leadership even in the toughest of times. Ida Scudder inspired hundreds of young medical professionals to take the words of Jesus as their motto. He said that he had come, “not to be served but to serve.” Many of her graduates dedicated their lives to bringing healthcare and new hope to remote areas of India. Others continued to serve in Vellore, passing on the torch of knowledge, skill and compassionate caring to new generations. When she died in 1960, still living in her bungalow near Vellore, her funeral was a city-wide event, with thousands of people of all faiths lining the streets to share their respect and gratitude. In August 2000, the government of India issued a commemorative stamp in her honor. Dr. Ida was unique among even medical missionaries of her time. She knew that she was talented and capable of doing the work, but unlike Jesus’ disciples in the passage we read earlier, she knew that she was not Super Woman. She had no illusions about single-handedly saving India, and so she devoted herself to empowering and training as many women as physically possible to do the work of healing, sending them out to cities and villages and remote towns all over India, and all over the world. Dr. Ida’s motto, which is still the official motto of the CMC in Vellore today, was “not to be served, but to serve.” She took these words of Jesus and made them her whole life – everything she gave up and everything she did was in the service of the women and children of India. Her legacy is one of unrelenting compassion, a fierce commitment to dreaming big on behalf of God’s kingdom, and an unwavering dedication to empowering others. 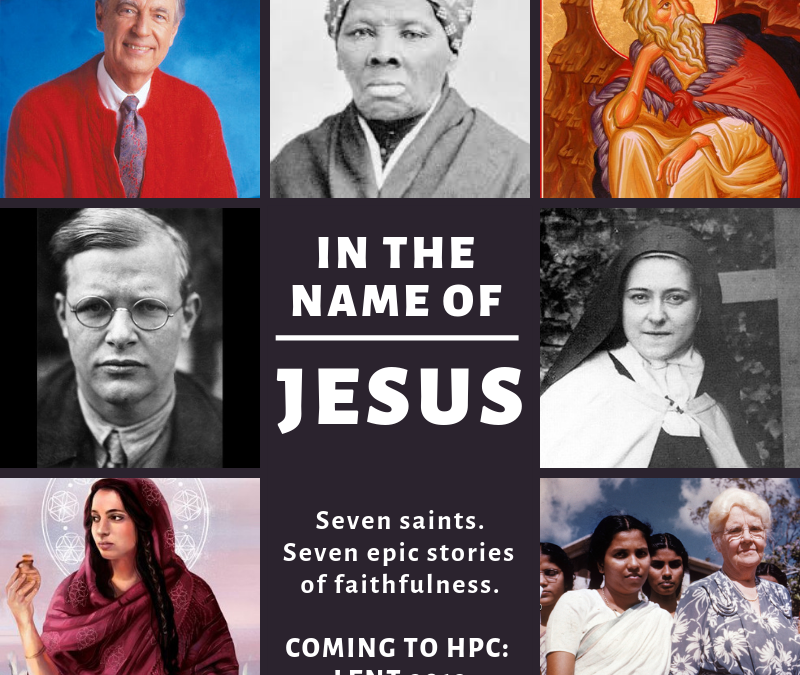 She trained Hindu women and Muslim women and Christian women and thousands of women from various ethnic groups and religious backgrounds, never turning someone away because of their differences – even as she did all of her work in the name of Jesus. Perhaps, in a divided and divisive society, what we need are not more commentators, but more Dr. Idas – folks who will see and respond to the world’s problems and heartache with grand visions of God’s kingdom coming to life in our midst, with compassion, energy and imagination enough to cross borders and dividing lines to solve problems. Beloveds, on this day and every day, may the fire of love burn as brightly in you as it did in the life and witness of Dr. Ida Sophia Scudder. Alleluia! Amen.